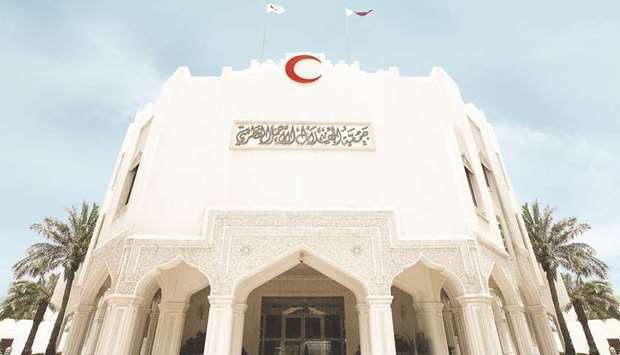 Qatar Red Crescent Society (QRCS) has said it is holding a grand celebration today at Katara – the Cultural Village to celebrate 40 years of humanitarian service. Present on the occasion will be VIP guests, government officials, social figures, business leaders, senior volunteers and representatives of the International Red Cross and Red Crescent Movement. The event will be attended by senior QRCS officials, including Dr Mohamed bin Ghanem al-Ali al-Maadheed – president, Ali bin Hassan al-Hammadi – secretary-general, board members, directors of divisions, managers of medical facilities, staff and volunteers. A special honouring ceremony will see the chief donors and contributors to the organisation recognised, including government authorities, NGOs, corporations and the media. On the sidelines of the 40th anniversary, a public exhibition will be held at the Katara Corniche to give a timeline narration of QRCS’s history. It will open its doors to the public from this evening until March 24. At the exhibition, there will be activities for kids, ‘real’ displays (shelter tents, field hospital, ambulances) and a presentation on diverse volunteeringopportunities. In 1981, QRCS became a member of the International Federation of the Red Cross and Red Crescent Societies and the International Committee of the Red Cross (ICRC). In this capacity, QRCS has access to the zones affected by disasters, conflict or economic challenges. Over four decades, QRCS has managed to establish its reputation in the fields of relief, development and humanitarian advocacy/diplomacy. In all of this, QRCS is inspired by its strategic slogan “Saving Lives and Preserving Dignity”.